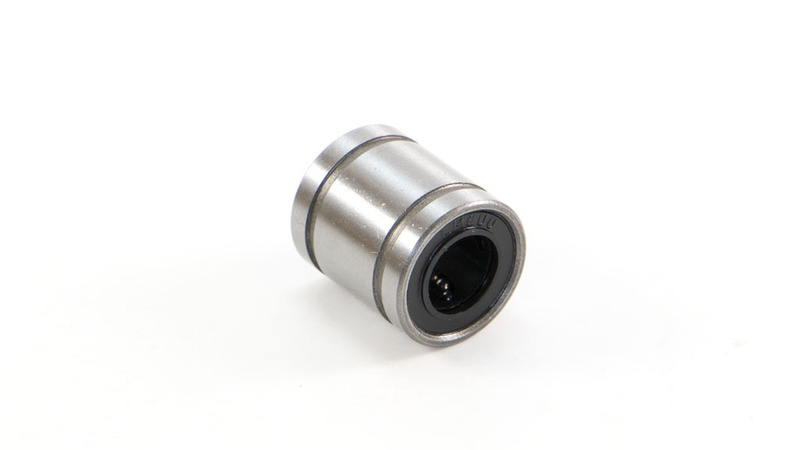 This item is one (1) single LM8SUU linear ball bearing. These are intended as replacements for the stock brass bushings on the MakerBot Replicator 2 and the MakerBot Replicator 2X, Flashforge, Wanhao, CTC and more. Resin bushings may wear quickly and plain bearings need to overcome static friction, leading to uneven movements along the X and Y axis rods. Ensuring your rods are smooth, noise should be minimal with LM8SUU ball bearings. These are durable, high quality upgrades. The housing material is a hardened steel, the internal balls are a chromium steel material and chrome plated as well. 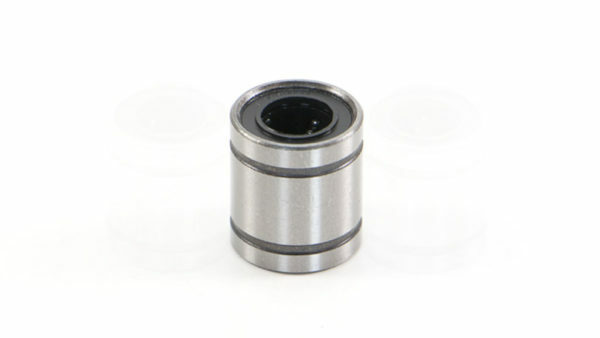 The dimensions of the bearings are 8mm x 15mm x 17mm, allowing it to fit over any 8 mm rod. Four inner ball bearing tracts grant smooth and reliable movement. The 3D printer LM8SUU linear ball bearings offered by Fargo 3D Printing are made in the USA. This product may also be purchased in packs of two (2) or four (4).